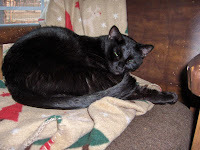 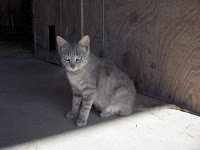 The Missouri Barn Cat's Mission is to impact our local shelter kill rates of feral, wild, alley, barn, working, unowned, stray and community cats by helping facilitate and educate about Trap-Neuter-Return and leaving cats in their home territory's. 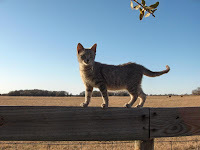 Missouri Barn Cat is here to assist our 7 member groups with placement of these working cats that need new situations due to excessive numbers, changing environments, urban sprawl and disgruntled neighbors. 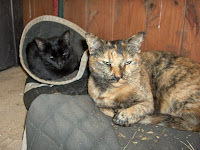 We hope to educate those who need mousework that these cats fit their needs better than domesticated cats. 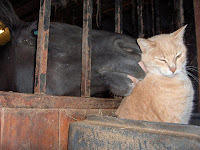 While these cats might not have brick and mortar homes they have value to the world and deserve life.